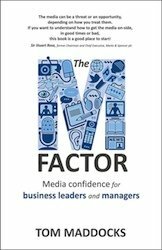 What are the main challenges in dealing with the media that organisations will face in the coming year? 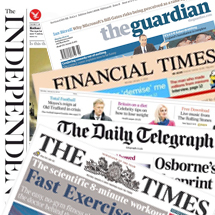 A key issue for those whose main contacts are with the more serious end of the media – the papers that used to be called the broadsheets – will be to accommodate what we believe is their increasingly consumer-focused agenda. Many people at the receiving end of media coverage already see journalists as having an overwhelmingly negative news agenda – forgetting all the pages of soft features and material that is often PR-generated. Now though, as more people see the Times, Telegraph, FT, Independent or Guardian etc via their digital editions instead of the traditional printed version, editors can see all to clearly what bits of the paper their readers actually read. It is no secret that the Daily Telegraph has a big screen in the middle of its newsroom showing which stories are currently receiving the most hits on its website, putting pressure on journalists to turn out stories that will ‘gain traction’ with the audience or become irrelevant/out of a job. Other national newspapers watch these figures like hawks as well. In other words, it is increasingly readers as much as editors who are effectively in charge of what appears. At the same time, ‘City’ stories used to stay on the Business pages and were written from an investor standpoint, now they are often on the front pages with a different agenda. So, a few years ago, there might have been more scope for a senior journalist or correspondent to take a nuanced view of an industry or an issue, which may have been objective or sympathetic to the company or sector concerned. Now though, there is more pressure to take a relentlessly consumerist approach which will appeal directly to the reader; some of the recent coverage attacking the energy companies may be a case in point. For 2014 companies can expect still tougher scrutiny – especially those that are not seen to be getting it right in terms of customer service, pricing, corporate tax-paying or whatever. The need to have a clear narrative and highly effective corporate spokespeople is greater than ever.